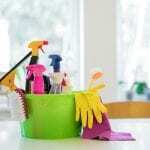 Don’t settle for just spring cleaning when you can have seasonal cleaning all through the year! What used to be called spring cleaning has grown to include other times of the year as well. There is no reason why you can’t enjoy the product of a deep cleaning for your Apex, North Carolina home during all four seasons. In fact, it could be one of the best things to do for the health of your family. Not only is it a boost to everyone’s mental health to enjoy a clean home, it is also important for indoor air quality and keeping germs from causing repeat illnesses. 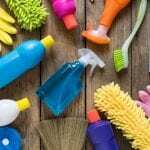 Here at April’s Cleaning Services, we understand that it can be challenging enough to find the time to do spring cleaning, so we offer quality seasonal cleaning services to make it easy. When you call us for seasonal cleaning, we send a team of three people, including an on-site manager, equipped with everything that’s needed to give your home a deep cleaning. We utilize a checklist so that we double-check that all your requests have been accounted for and that both your standards and ours have been achieved. We back our seasonal cleaning services with a 100% guarantee – if you realize later that we missed something, just let us know and we’ll come back out and make it right. We have been in business since 1993 and owe our longevity and growth to our dedication to being professional and on time. We are bonded and insured for your protection. 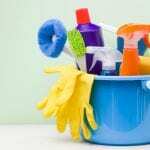 We have helped hundreds of families just like yours enjoy the many benefits that seasonal cleaning can provide. Feel free to call us today with any questions or to get a quote for one season or all four. No matter the season, we can help with any cleaning tasks you need to do!